God moves in ways that cause me to drop to my knees in humble awe of Him. Sometimes He gives us a hard circumstance and teaches us to trust as we walk through it. Other times He sets us high on a mountaintop, so we can discover the beauty all around us. At all times, during the struggles and the victories, He is right there with us. Guiding us. Directing our steps. Two months ago, I released a book about something God taught me. Little-ole me. I enjoyed getting to dig deep into His Word and discover answers I didn't know to a problem that plagued me for much of my life. But today, I am on my knees in awe because of the responses I've gotten from others who've read the book. I'm amazed at God's faithfulness. He did just as He promised. He has been placing the book in the hands of those who desire to walk more closely with Him and grow in His Word. That. Is. Awesome. From the beginning, I wrote Over It. 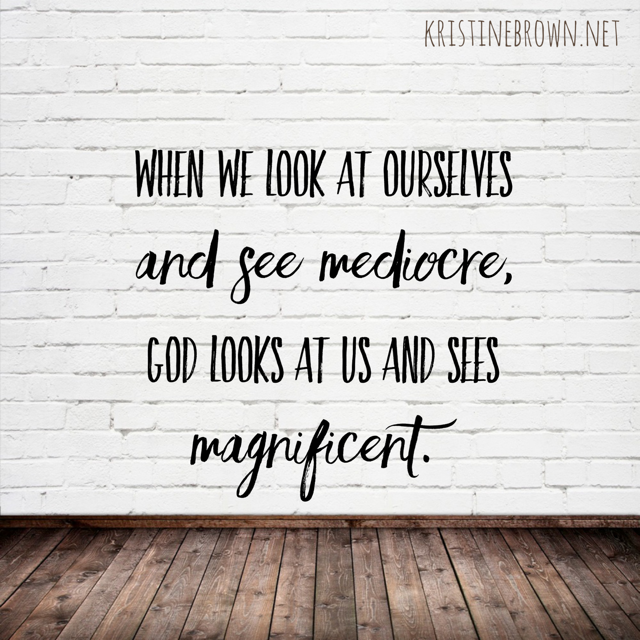 Conquering Comparison to Live Out God's Plan so it could be used as a Bible study. I wanted the message to be relatable to new believers while also challenging seasoned Christians to find fresh inspiration in its pages. That way, women young and old could read the book together and use it as a guide for learning more from Scripture. I am excited to announce that beginning in August, a FREE Over It Leader's Guide will be available for download on the book page. The guide will include suggested pacing, additional discussion starters, and video introductions for each chapter. I'm a teacher, so I understand the time constraints associated with leading a women's group or book study. It would be nice to have everything you need, packed neatly into an easy-to-follow plan. So that's what I'm creating. And did I mention that it will be FREE? I wanted to share this news with you first. You have been so supportive of my efforts in talking about the #OverItBook and helping women everywhere erase comparison and embrace all God has for them. I know several of you have read Over It, and you've been so kind to let me know how it encouraged you. You've also asked if you could help in any way. I'm so incredibly thankful for your willingness and kindness. If you enjoyed the book, would you send an email or text to someone you know who's involved in women's ministry at her church? Or maybe you could share this post with her. I'd love to let our friends know this resource will be available as they are planning for their fall Bible studies. And as always, I am open to chatting about the book and learning more ways to make it a great option for group study. Do you have suggestions for me? I'd love to hear them. I can be reached through my contact page by clicking here. Thank you. You are a blessing to me.